'Tis the season for all the holiday things! 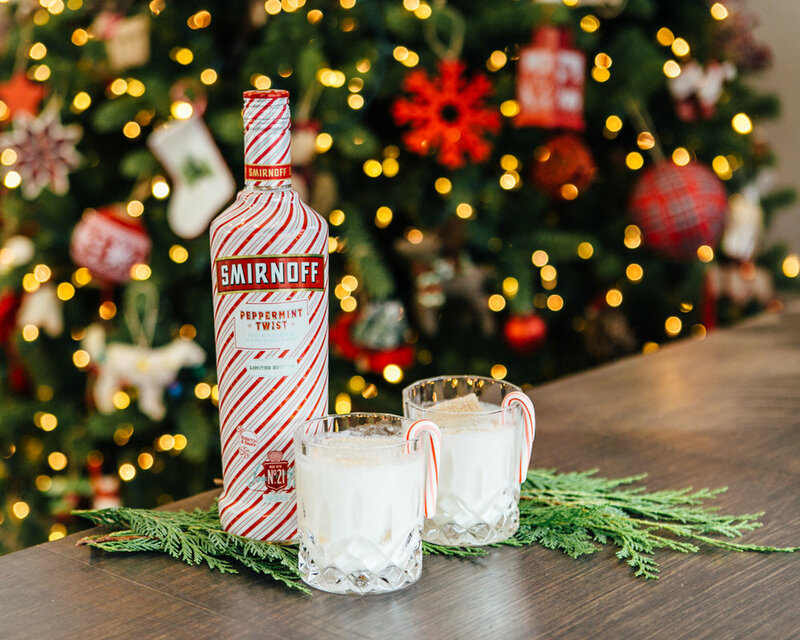 I feel like I've been talking about the holidays for months now (case in point: this page) and I'm ready to start winding down... just one last post... because these festive holiday bevvies are too good not to share! 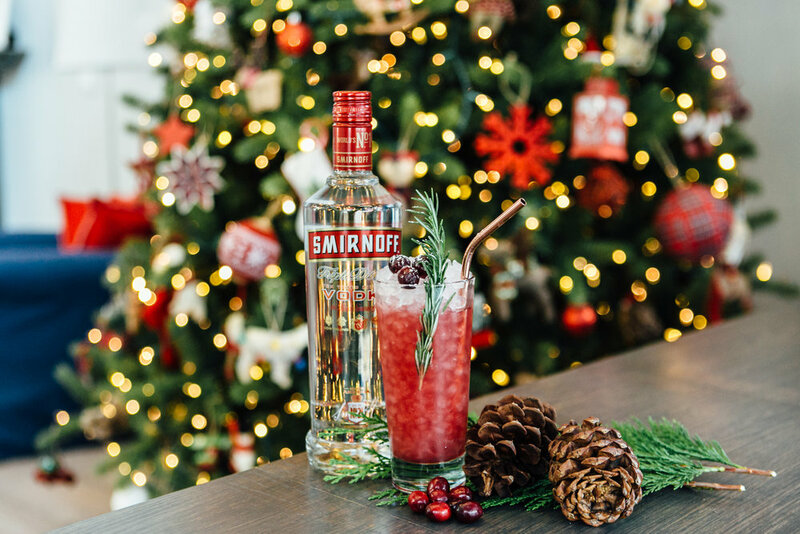 Per usual, we enlisted The Whaling Club to create this year's #kashlinxmas cocktails using two types of Smirnoff vodka. Thanks to Smirnoff for providing the alchy for this collab! Keep scrolling to get deets on our Peppermint Milk Punch (dairy free!) and Holiday Cheer Cocktail that are sure to satisfy any festive cocktail craving and can be made in large batches for your party or fam gathering. *Combine ingredients in a shaking tin. Dry shake (without ice), transfer into a collins glass and mound with crushed ice. Garnish with fresh cranberries, rosemary, and powdered sugar. Combine ingredients in a mixing bowl, stir well, and refrigerate. When serving: transfer punch into a large bowl over a block of ice and garnish generously. Combine ingredients in a small pot. Bring to boil, reduce heat, and let simmer for 15 minutes. Strain and refrigerate. *Combine ingredients in a shaking tin. Dry shake (without ice), transfer into a rocks glass over a rock of ice, and stir. Garnish with grated nutmeg and a peppermint candy cane. *Combine ingredients in a mixing bowl, stir well, and refrigerate. When serving: transfer punch into a large bowl over a block of ice and garnish generously. Now, let's all cheers to family, friends, loved ones, and a little holiday break over the next few days! Wishing you all a beautiful holiday! I went through our go-to sites and picked my faves that will make for great holiday looks or 2019 wardrobe staples. Dive in to see the best of Reformation’s 30% off sale, Madewell’s 25% off sale, and Urban Outfitter’s BOGO. Taking a less is more approach on this year’s big sale!